A federal judge has overturned Maine’s first-in-the-nation law allowing residents to purchase medication by mail from other countries. U.S. Chief District Judge Nancy Torresen’s ruling Monday comes more than a year after several Maine pharmacy groups filed suit against the state over the 2013 law, arguing it jeopardizes the safety of the nation’s prescription drug supply and opens the door to counterfeit and tainted medications. Federal law strictly limits the importing of prescription drugs from foreign countries for personal use. Torresen ruled that Maine infringed on the federal government’s established regulatory authority by allowing drug importation at the state level. Her decision nullifies the law, though the state could potentially appeal. The law allowed Maine residents to buy prescription drugs from Internet pharmacies in Canada, the U.K., Australia and New Zealand, which the U.S. government deems to have equivalent or greater drug safety and licensing regulations. Those countries, among others, can sell prescription drugs more cheaply because their governments cap prices or negotiate prices with drug makers. The three pharmacy groups argued Maine’s law sidestepped the U.S. Food and Drug Administration’s oversight, designed to protect consumers from unsafe medications. 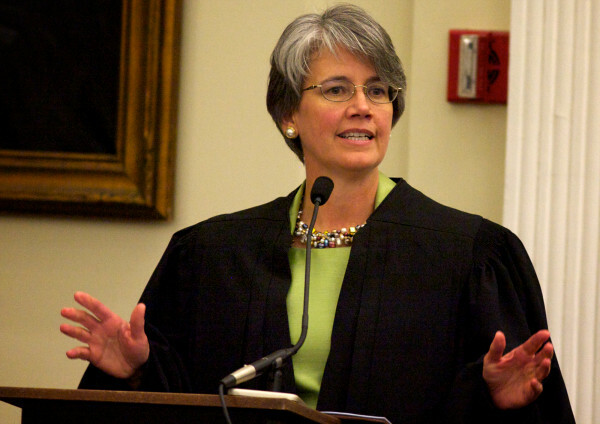 Their suit, filed in September 2013, names as defendants Maine Attorney General Janet Mills and Richard Rosen, who has since been named the state’s finance commissioner. “Maine pharmacists are relieved that Judge Torresen’s ruling ensures the safety of prescription drugs for Mainers by upholding federal laws that are designed to prevent unapproved and substandard drugs from coming into the United States,” said Kenneth McCall, immediate past president of the Maine Pharmacy Association, one of the plaintiffs in the case. His group was joined by the Maine Society of Health System Pharmacists and the Retail Association of Maine. The drug industry’s largest lobbying group, the Pharmaceutical Research and Manufacturers of America, also sued the state, but Torreson dismissed the organization as a plaintiff in June 2014. Mills said the issue of drug importation needs further scrutiny, but she did not indicate whether she plans to appeal Monday’s decision. When Maine passed its law in June 2013, the state became the first in the nation to formally defy federal regulations prohibiting U.S. residents from importing drugs through foreign pharmacies, which often sell the same medications for half the cost. While Maine’s law set a new national precedent, the controversial legislation unofficially sanctioned a hunt for cheaper prescription drugs that has driven Mainers across the border to Canada for years. Supporters of the law, including former Maine Sen. Troy Jackson, have argued that drugs from those countries are safe and that consumers are being held hostage by high drug prices charged by American pharmacies. Maine’s law put the federal government on the spot over the issue of unaffordable prescription medications, he said in January. Jackson said Tuesday he hopes the attorney general will appeal the ruling. It remained unclear Tuesday how the ruling would immediately affect mail-order pharmacies operating in Maine and their customers. Jackson works as a consultant and spokesman for Great British Drug Store, an online pharmacy chain that set up shop in October in Portland. He was in talks with attorneys Tuesday to determine how the decision would affect the company, which has filled about 1,000 orders since opening, Jackson said. The company at the center of the debate over Maine’s law, the mail-order pharmacy CanaRx, continues to operate in Maine. It has served public and private employers in the state for more than a decade, but Maine’s former attorney general ruled in September 2012 that the company couldn’t be licensed as a pharmacy in the state. Jackson’s legislation lifted the licensing requirements. CanaRx attorneys were still reviewing the ruling Tuesday afternoon, and spokesman Chris Collins said he couldn’t comment yet on how it might affect the company’s operations in Maine. But he said CanaRx has served Maine customers since long before the state passed its drug importation law. “CanaRx was designed to be in compliance with federal laws and regulations 14 years ago and still operates under that same principle,” he said. The city of Portland is among CanaRx’s customers, after reinstating its Portland Meds Program in October 2013. As of the end of last year, 145 employees on the city’s health plan were enrolled in the program, according to city spokesman Mike Murray. CanaRx no longer serves state employees, but it contracts with more than 20 private and public entities in Maine, Collins said. “It confirms the important role the FDA plays in regulating the drug supply chain and protecting consumers from counterfeit and adulterated medicines that may be inserted into an unregulated supply chain like the one Maine sought to facilitate,” he said in a statement.